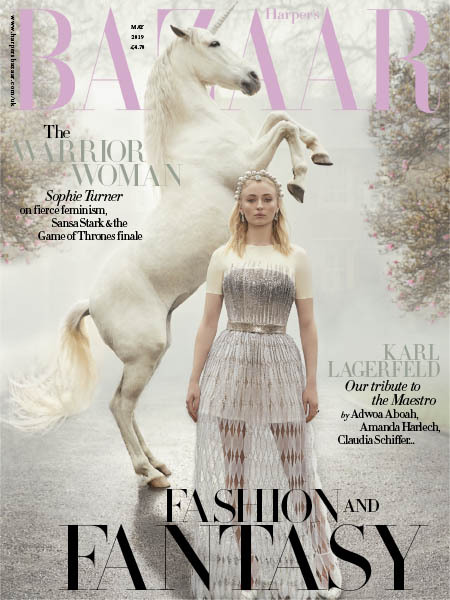 Harper's Bazaar UK - 05.2019 » Download PDF magazines - Magazines Commumity! This celebrated women's fashion magazine brings you all the latest trends direct from the catwalks of New York, London and Paris, providing fail-safe clothing advice for women who love to look good. If fashion is always on your radar, then a subscription to Harper's Bazaar magazine is ideal, offering you monthly accessory reports and workwear solutions to help you update your wardrobe. You'll also find celebrity style profiles, best-dressed lists from the season's big award shows and events, plus candid 'Access All Areas' snaps of guests at the most exclusive, exciting parties from around the world.